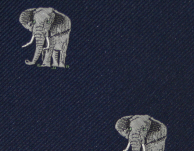 A stunning elephant tie with embroidered motif. Available in Navy. 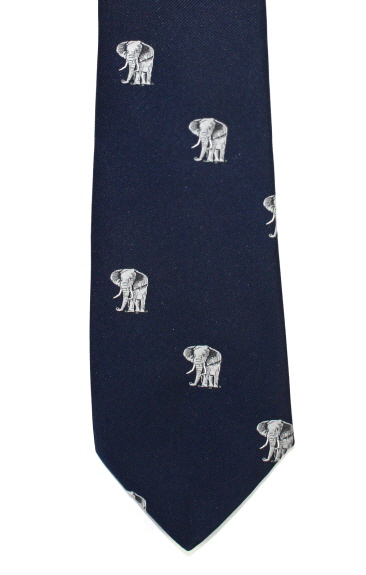 A navy blue silk elephant tie with mother, father and baby elephants in grey and yellow in a repeat pattern. Made in the UK. This wonderful elephant ornament with raised trunk in a contemporary style is made from cold cast bronze. A stunning extra large elephant necklace by Indulgence Jewellery, with crystals and black enamel detail on a silver chain.